If you're looking for a role that allows you to drive the web forward by utilizing the latest technologies, you've come to the right place! Whether you want to build Progressive Web Apps, design architectures to manage micro-services, or manage memory usage and latency at large scales, this is a role that requires you to think holistically about building the next generation of cross-platform mobile and web apps. 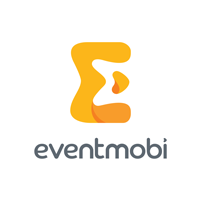 EventMobi is an engineer run company that is focused on building software "the right way" and we wholly believe in the power of the web as the ubiquitous platform to power applications across devices and platforms. Developers at EventMobi focus on building powerful applications using the best tools for the job. Platform that generates and deploys thousands of apps annually and we're constantly looking to push the bar with your help. Subsidized health care plans with dental, vision, drug coverage from Day 1! Time off to give back to the community and volunteer at an organization you are passionate about! We're focused on building the most robust & well designed event management platform to help planners run better & more successful events. We believe that live events bring people together to enable change, and we can have a huge impact on enabling success for events & and their attendees. We've already changed how 10,000+ events in 70+ countries use technology at their events, and we're looking forward to influencing hundreds of thousands of future events. EventMobi welcomes and encourages applications from people with disabilities and from minorities. Accommodations are available on request for candidates taking part in all aspects of the selection process.